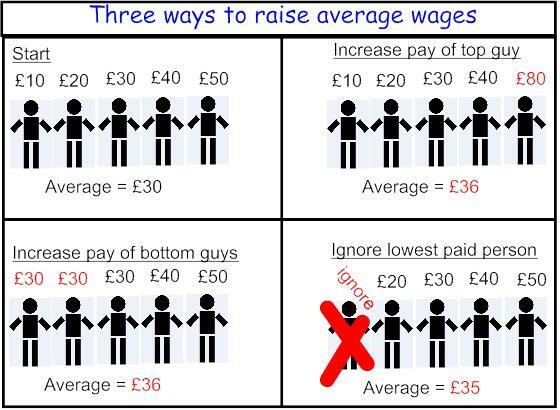 The ‘weighting’ they refer to is intended to make the figure “representative of the Great Britain economy as a whole”. 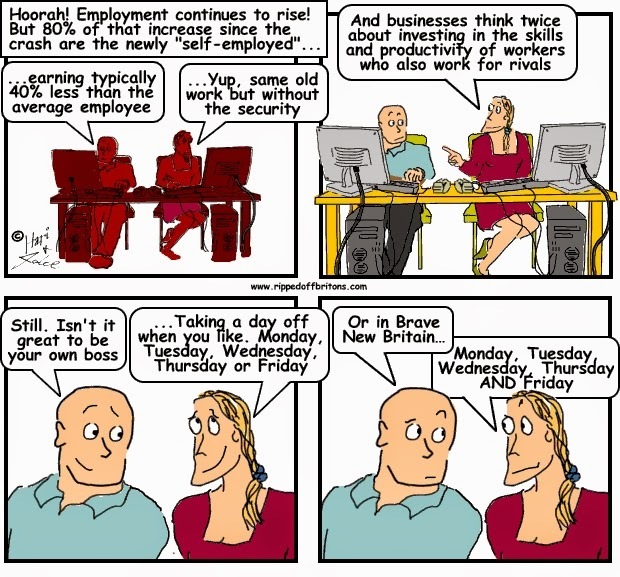 On the other hand the Self Employed make up 15% of the UK workforce. 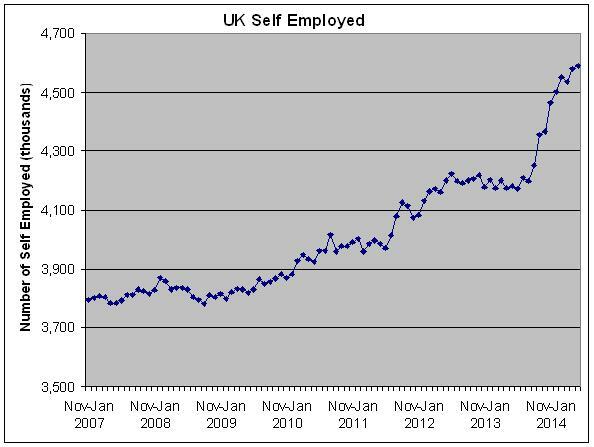 According to the ONS’s Labour Force Survey, in April-June 2014 the Self Employed were 4.6 million out of a total workforce of 30.6 million. 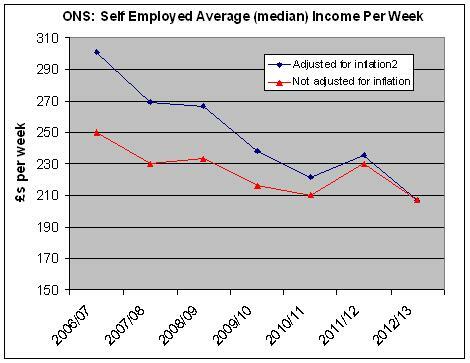 The wages of the self-employed fell between 2007/08 and 2012/13 both in real terms (£62 a week worse off inflation adjusted, the graph below shows 2012/13 prices) and in nominal terms (£23 a week worse off, number of £s in your pocket). 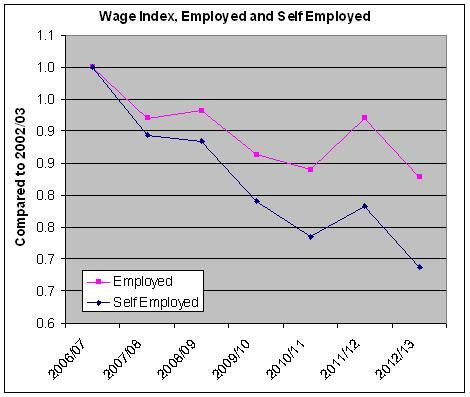 Including the Self-Employed in the Average Wage Statistics, even as a seperate item, would be very revealing. Which is precisely why no government is likely to do it. [P.S. 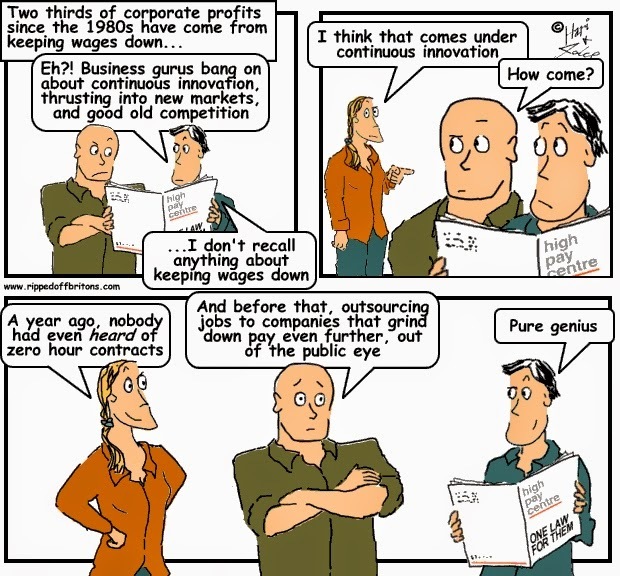 We hope it is not too churlish to mention that this will also be of particular interest to our MPs, whose pay after their bumper 10% payrise in 2015 will be linked to the change in this ONS Average Weekly Earnings figure (excluding the self-employed)]. 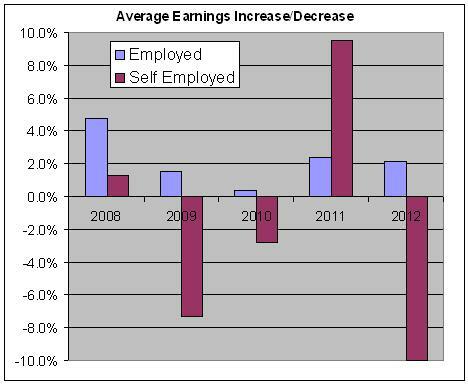 This entry was posted in statistics and tagged average weekly earnings, ONS, self employed, statistics, unemployment. Bookmark the permalink.